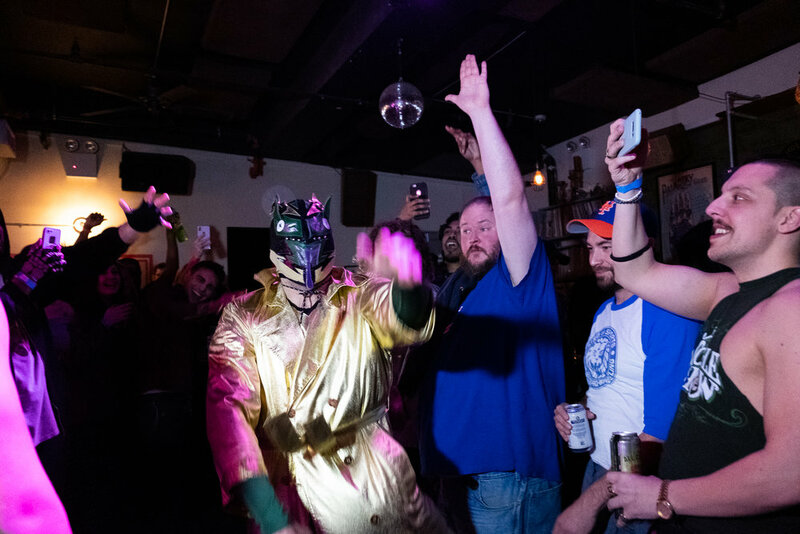 Last week during the midst of Wrestlemania 35, Brooklyn’s own Hipster Heartthrob, Casanova Valentine, hosted a string of Murdermania events around the city. We caught the Thursday night match at Our Wicked Lady. 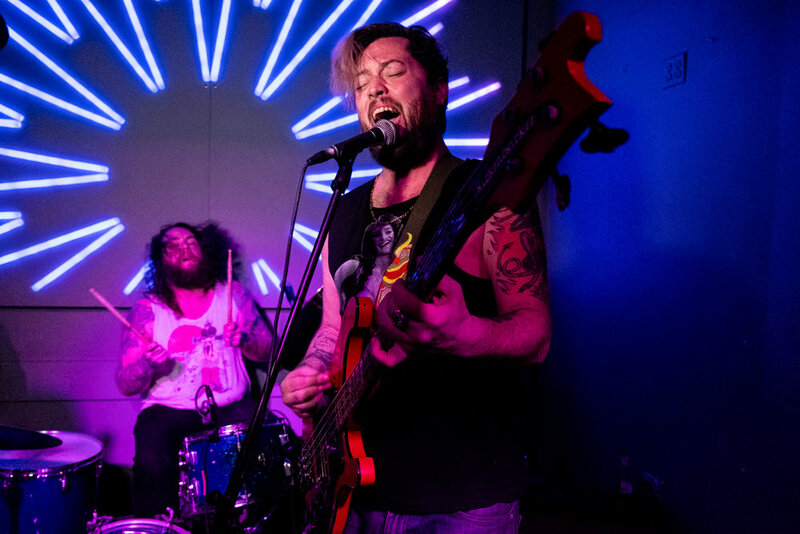 The night featured a four-person elimination round downstairs and musical entertainment from Fleshlight Suicide and Tight Fright. The massive crowd headed to the roof for the final fight of the night: Effy v. Valentine, plus a whole lot of beer, blood, sweat, an American Flag, barbed wire and Valentine’s signature garden weasel. Peep the photos of the mayhem in the gallery below.